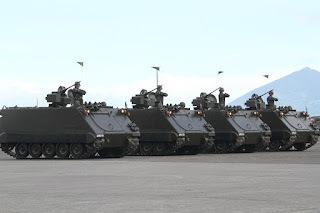 MANILA, -- The Philippine Army is formally acquiring 114 units of armored personnel carriers, seen to boost the military’s anti-insurgency operations, on Thursday. 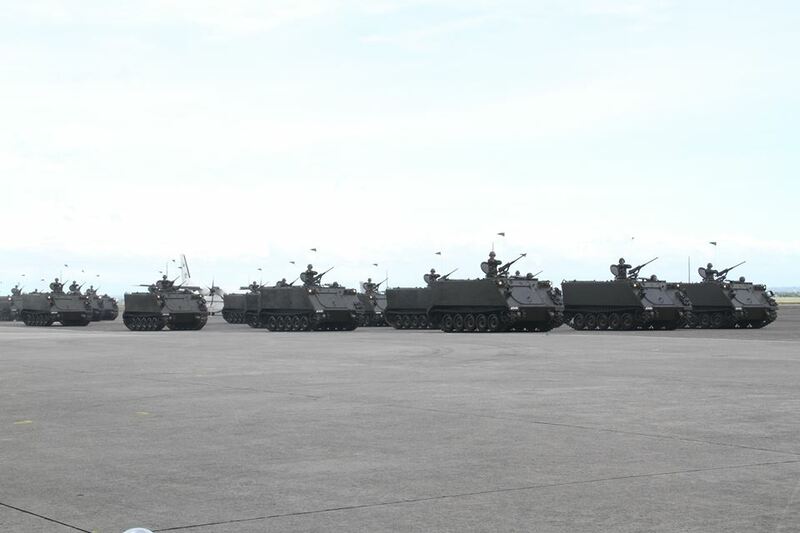 A turnover and blessing ceremony of the armored vehicles will be held in Tarlac with Defense Secretary Voltaire Gazmin as guest of honor. The armored carriers, which arrived in batches last December, were acquired from the United States as an Excess Defense Article. The vehicles had been tested, painted and fitted with weapons by the Army’s Mechanized Infantry Division. 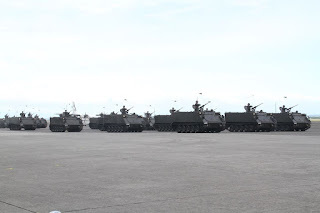 After the turnover, the armored carriers will be distributed to field units. “The vehicles will be brought to the line units so the organizational fill up will be completed,” Army spokesperson Col. Benjamin Hao said on Wednesday. He said the additional vehicles would enhance the Army’s speed and personnel protection, as well as their firepower in the battlefield. 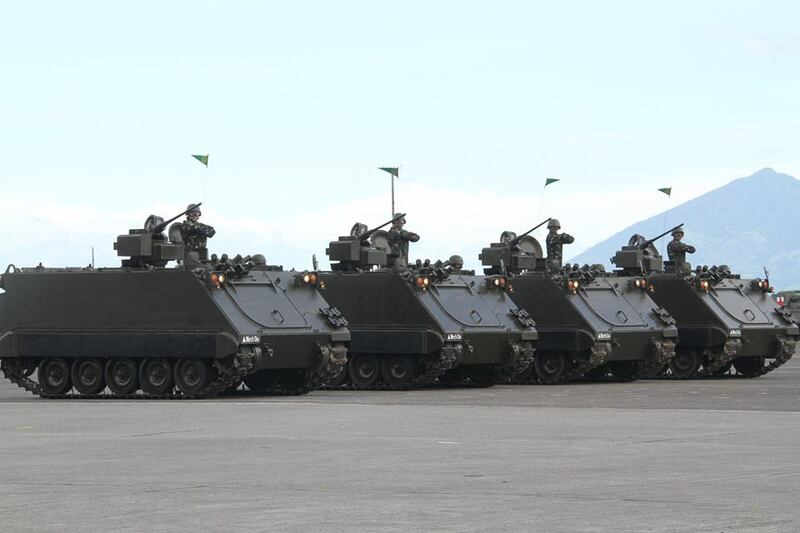 The Philippine Army M113A2 armored personnel carriers with RCWS featured at the 80th founding anniversary parade of the AFP on December 21 2015.